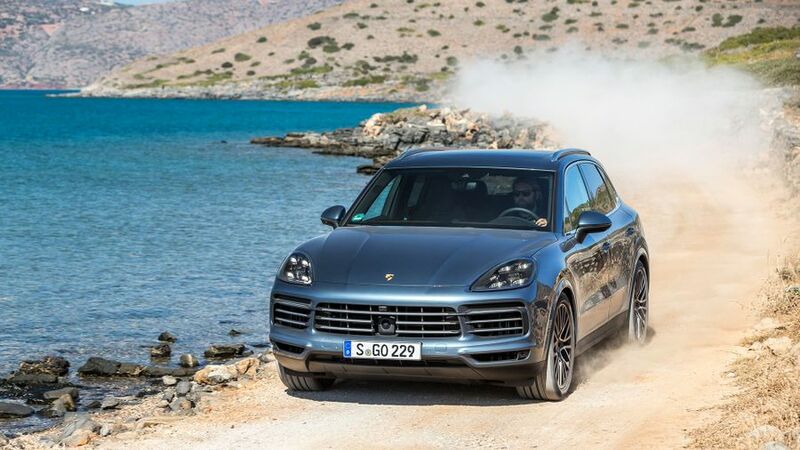 On paper, cars like the Range Rover Sport, BMW X5 and Mercedes GLE look like credible rivals to the Porsche Cayenne, but are they really in the same league? The Cayenne has always been the car every manufacturer of large, luxury SUVs has tried to emulate. Although they may not have the same level of desirability, rivals like the Range Rover Sport, BMW X5 and Mercedes GLE have come close in terms of performance, refinement and quality. Unfortunately for them, the latest Cayenne has put paid to their challenges. Lighter, leaner and faster, with a posher cabin that’s been stuffed with the latest driving, safety, and infotainment tech, Porsche has simply blown the opposition clean out of the water. Cheaper than the Cayenne S, and faster too. No one need spend £100K on a Cayenne, but take a test drive and you probably will. Porsche claims a fuel economy of up to 88.3mpg, although in the real world, somewhere around 40mpg is more likely.  Interested in buying a Porsche Cayenne? The rather gawky styling of the previous generations of Cayenne probably did the most to put off prospective buyers. Thankfully, the latest Cayenne is far easier on the eye, thanks to its smooth lines, instantly recognisable Porsche grille, startling LED lighting, and many styling undertones taken from its smaller, neatly proportioned sibling, the Macan. You can sport the E-Hybrid model by its green brake calipers nad green-tinged badging. The Turbo model also features an adjustable roof spoiler, which automatically varies its height and angle to improve high-speed stability, and to help reduce wind blast from entering the cabin when the optional sunroof is open. It also operates as an air brake, hoisting up like a sail when braking hard from high speeds. The problem with all this aerodynamic assistance is, none of it comes into play until the car is travelling well over 100mph. So, unless you regularly travel on German autobahns, it will remain purely a topic for the pub debating fraternity. 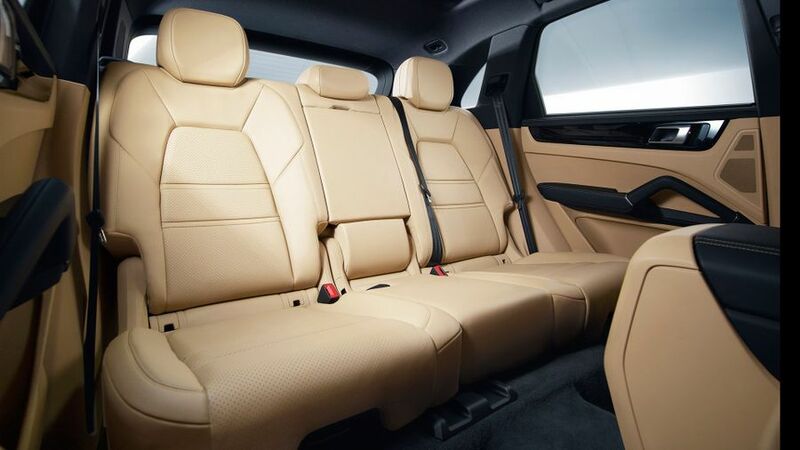 The latest Cayenne’s interior layout is a vast improvement over what went before. While the old car’s dashboard was seemingly randomly festooned with switches and buttons, the latest model utilises a key command panel and a huge central touch-screen. This not only creates a more orderly layout, but also helps minimise distractions when driving, although it can be trickier to hit a specific area of touchscreen while on the move than it was to feel a physical button. 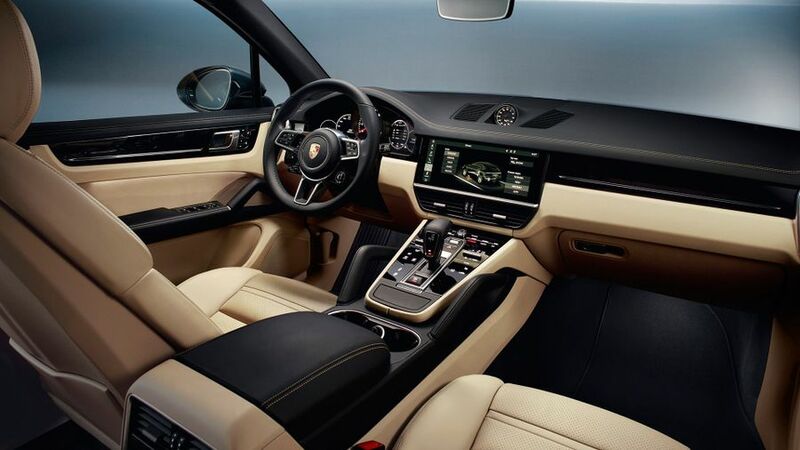 It will still take time to familiarise yourself with the various internet connectivity and infotainment menus, and once you’ve mastered that, there’s a bewildering bank of instrumentation behind the steering wheel, including two high-definition displays. It can be overwhelming, although we suspect that once you take the time to figure everything out, you'll find all the information you could want. Although the Cayenne is more than capable of a spot of off-roading, you might want to think twice before climbing in and out of it with muddy wellies. The luxurious feel of all the materials, the precision fit and finish of every panel, the subtle mood lighting and the thick-pile carpets, all combine to produce an ambience more akin to a luxury car than anything you’d consider trashing around a farm yard. The Cayenne is a big car, with plenty of space for five people and their luggage. 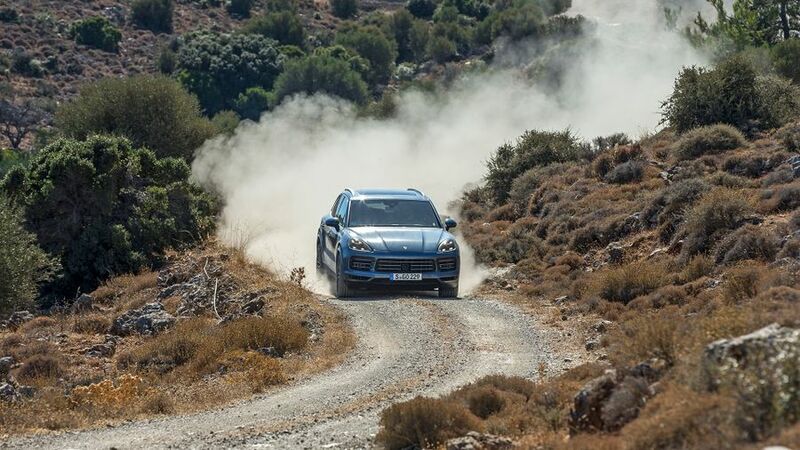 The good news is, because the Cayenne is so composed on the road, it never feels that big when you are driving it and you also sit lower than in many SUVs, so the sensation is closer to that of driving a sports car than a big 4x4. The rear seat slides back and forth to allow you to vary the amount of boot and passenger space, and the backrests can be inclined to help your passengers catch forty winks. Conversely, the backrests can also be set to a vertical position to make the boot space squarer. It’s probably not something you’ll use on a regular basis, but it could come handy if you want to securely transport large, heavy boxes. 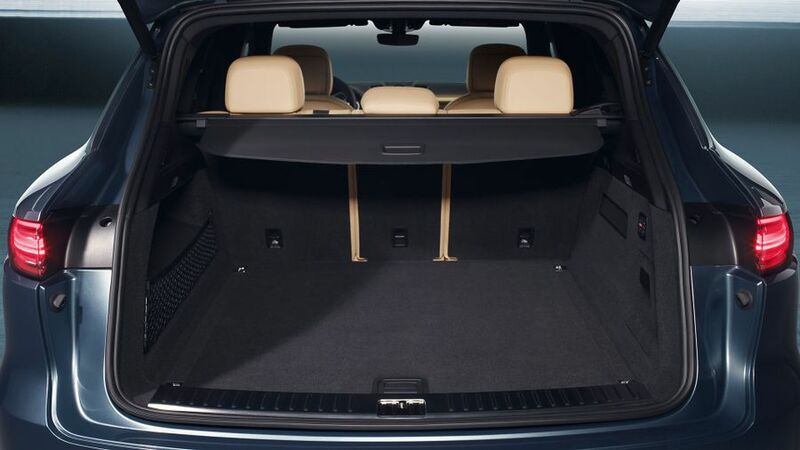 The rear-seat-backs also split and fold to create a completely flat load floor, which will allow you to carry longer items, such as a set of step ladders. Even with the rear seats in place, the boot is still pretty enormous at 770 litres. The exception to this is the Turbo model, which loses 29 litres of space in order to accommodate its larger 100-litre fuel tank. Perhaps the first thing you need to know about the Cayenne is, it’s not the most comfortable SUV you can buy. This is largely due to the fact that Porsche has set out to make the Cayenne the sportiest SUV on the planet. It is a Porsche, after all. As a consequence, the suspension is tuned to resist body lean in corners, and therefore feels quite rigid at lower speeds. So, if you’re going to use your car primarily in town and on the school run, you may want to look elsewhere, although it's not as stiff as to be uncomfortable. However, for those who live in an area of the country where they can enjoy open roads, the Cayenne is the most thrilling SUV you can buy. Along with its staggering performance, it handles and reacts to the sweetly weighted steering with the kind of poise and alertness that would embarrass many a supercar. We don't expect many owners to take their Cayenne's to a race track, but if they do, they'll find it performs extremely well. It’s also immensely stable and surprisingly quiet at motorway speeds with relatively little wind or road noise finding its way into the cabin. The Cayenne is also available with no end of dynamic handling enhancements, including sophisticated air suspension and four-wheel-steering, the latter of which enhances high-speed cornering agility, but also aids low-speed manoeuvrability by turning the back wheels slightly, as well as the fronts. This makes the car easier to reverse into tight parking spaces and will ensure you stay on the correct side of the road when turning left out of tight T junctions. We've driven the petrol and hybrid versions of the Cayenne so far, with a diesel option in the pipline. There are three petrol engines to choose from, a 3.0-litre V6, a more powerful 2.9 V6 (it’s a smaller engine but has more power because it has two turbochargers while the 3.0-litre has just one) and the king-sized twin-turbo 4.0-litre V8 in the range topping ‘Turbo’ model. Depending on how much cash you’re willing to throw at it, you can have your Cayenne with sufficient performance to have your passengers doing everything from giggling to gasping. Even the standard car produces enough go to leave many performance cars trailing, while the 2.9 (badged as the S) carries so much effortless speed, you’ll simply blast past slower-moving B-road traffic as if they didn’t exist. It’s difficult to overstate just how much power and speed the Turbo produces. Let’s just put it this way: if the thrusters in Ironman’s suit were to ever stop working, Tony Stark could get about the place almost as quickly in one of these. The E-Hybrid version might woo the environmentalist in you with its electric motor, but that's attached to a 3.0-litre V6 petrol engine and is tuned for performance. You can set the hybrid management system to run on electric power only (for up to 27 miles, at speeds up to 83mph), or combine both powerplants for extra grunt. 0-62mph takes just 5.0 seconds, which is top-end sports car-fast, and it feels effortless in its delivery thanks to the instant torque provided by the electric motor. The hybrid system offers flexibility too; if you live in a city and make lots of short journeys, you could conceivably run on electric power alone for much of the time, as long as you have somewhere to plug the car in and recharge the battery. The fact that it's cheaper to buy than the Cayenne S, and faster, should make you think carefully before opting for the petrol version. Whichever version you opt for, the standard eight speed gearbox slices through the gears with imperceptible ease, and the four-wheel-drive and clever electronics deliver the immense grip and traction you need to fully revel in the performance that’s on offer. Hands up who thinks the Cayenne is going to be cheap to run? If you do, go to the back of the class. Granted, the Cayenne is extremely desirable as a used buy, so it will hang onto its value better than most SUVs, but it’s eye-wateringly expensive to buy in the first place. What’s more, consumables like brakes and tyres will need changing on a regular basis and will cost you dear. On top of this, insurance rates will be exorbitant and fuel consumption will be especially wicked on the more powerful petrol versions. The Turbo model doesn’t come with a huge 100-litre petrol tank for no good reason, and even when you’re just pussyfooting around in one of the V6 cars, you’ll be lucky to get more than 25mpg. Servicing and labour costs from main dealers will also be very steep. Having said all that, if you can afford to buy a Porsche, you can probably afford to own one. Porsche has a reputation for being one of the more dependable performance car brands, but the Cayenne plays rival to other high-end family SUVs, not highly strung sports cars. Take a look at the Warranty Direct Reliability Index, and the Cayenne’s score looks very poor, as does the score for Porsche as a brand; it sits perilously close to the foot of the manufacturer’s table. Most of the faults appear to be electrical, and predictably, the average repair cost appears pretty high. However, all new Porsches come with a three-year manufacturer warranty, and you can choose to extend your cover at the end of that period for a fee. The Cayenne hasn’t yet been crash tested by the experts at EuroNCAP (and it isn’t likely to be, either) but all Cayennes are available with a wide range of safety kit, including plenty of sophisticated electronic systems. These include lane departure control, which uses the brakes to gently bump you back into line if you drift from your lane, and low speed autonomous braking, to help avoid collisions with pedestrians and cyclists who might unexpectedly veer out in front of you. Adaptive cruise control with stop-and-go is also available. This uses the car’s radar and cameras to help regulate the car’s speed and stay an appropriate distance away from other cars around you. 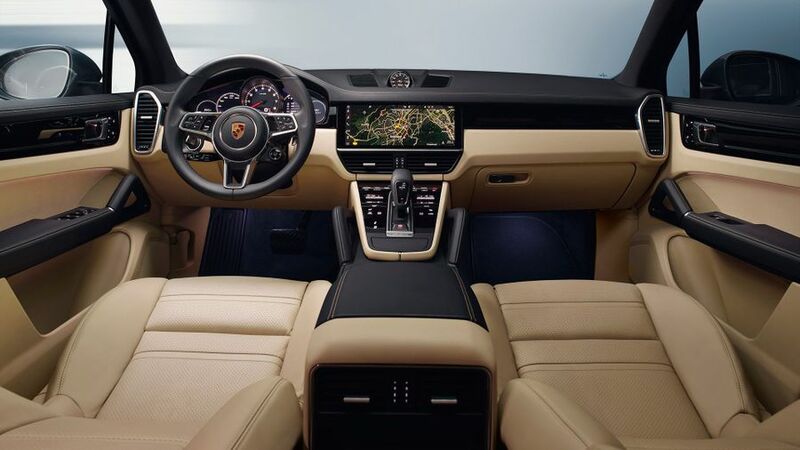 InnoDrive is a Porsche system that interacts with the adaptive cruise control and uses the navigation to calculate the optimum acceleration and deceleration so that corners and gradients can taken in the most efficient manner. Porsche is notorious for the miserly amounts of equipment it provides as standard, and again with the Cayenne, a lot of stuff you might expect to be standard is a cost option. And when we say cost, we mean, it really costs. The standard Cayenne does come with leather upholstery, eight-way electric front seats, cruise control, 18-inch alloys and climate control, but from here on in, you need to fork out more money to build your dream Porsche. We’d suggest an online build first - so you know roughly what you must have and what you can do without - before visiting a dealer. Because once ensconced in that shiny Porsche showroom, it will be all too easy to get carried away and end up spending far more than you originally budgeted for. If you want one of the fastest, sharpest-driving 4x4s on the planet, then the Cayenne should be right at the top of your wish list. With incredible performance and handling that almost defies physics, the Cayenne is the ultimate ‘Sports’ utility vehicle. A beautifully appointed cabin and loads of interior and boot space only serve to broaden its appeal, and of course, the kudos of that Porsche badge doesn’t do any harm, either. Don’t expect it to be the most comfortable car you’ve ever driven, but if you can live with that, then it’s definitely worth selling the house, or even the odd kidney, to afford it. Yes, the Cayenne really is that good.